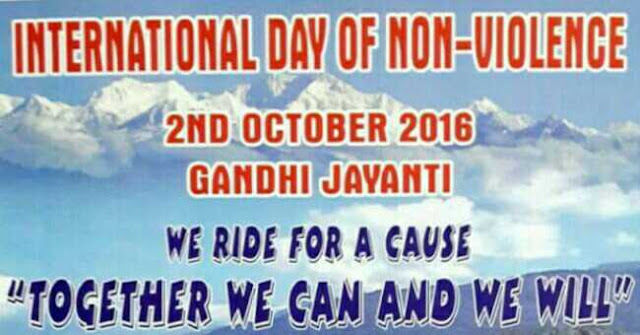 MARG in association with Himalayan Throttle Motor Cycle Club have organized Motorcycle Rally on 2nd October and 3rd October 2016 for observing International Non Violence Day. 2nd October : Siliguri via Mirik. Halt at Siliguri. 3rd October : Siliguri to Kalimpong and back to Darjeeling the same day. * Registration First Come First Serve. 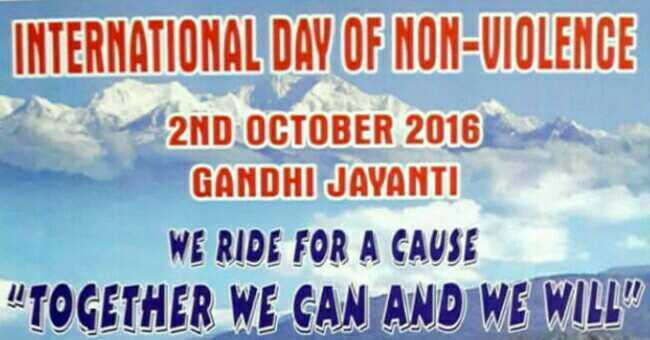 * Registration fee for each rider is ₹50/- only inclusive of food and accommodation. The cost of fuel to be borne by the rider. * Motorcycle documents as well as the driving license should be up to date and valid. * Riding gear or atleast leather jacket, gloves and proper half or full face helmets is to be worn for the safety of the riders. * Cubic Capacity 150cc and above. Online registration 21st-28th of September 2016. If you want to join us for the rally, you can join us by simply sending us a message on our page @hitmc16.